Why is Pay-Per-Click a Crucial Part of a Dealership’s Digital Marketing Strategy? PPC campaigns, or Pay-Per-Click advertising, is a smart way to reach low-funnel customers who are ready to purchase a vehicle. Google AdWords is an advertising system that allows dealerships to bid on certain keywords so that their ads will only populate for interested customers. Unlike traditional marketing services such as direct mail, Adwords provides car dealerships and advertisers with many options to choose from when creating and running PPC campaigns. For example, a Honda dealership does not want to show up for Honda motorcycles or Honda lawn mowers; they want their ads to populate on Google for shoppers that are looking for Honda cars. A Pay-Per-Click expert will be able to modify your keywords to ensure that your dealership’s Google ads show up for the products appropriate for your business. Are you concerned that your ads may appear in search results that are not connected to your brand or product? Don’t worry. Google AdWords also lets you use negative keywords. These negative keywords ensure your ads do not appear on specific keywords, eliminating the risk of wasting advertising money on customers who are not interested in your product. Targeting through AdWords allows you to focus on a small area such as a zip code, or a vast area such as several cities or states. This option enables you to focus your advertising dollars within your dealership’s market. You can even select what days and hours your ads will show up. With so much flexibility, you can narrow down your targeting and budget specifically to those low funnel customers who are ready to buy a car and are no longer in the research phase. You can also turn your ads on and off immediately, which is great for sales or promotions that have a start and stop date. There are no delays, so the changes you make are immediate. A PPC professional will understand that different actions can be worth different bid amounts. Working with a Pay-Per-Click campaign through Adwords will give you the ability to choose how much money you want to spend to get clicks or conversions to your site. How much is each click or conversion worth to you? What keywords are you willing to pay more for? Talk with your PPC provider to get better results. There is a variety of settings, options, and filters that you can use to ensure your money is spent in the best way possible. However, if you are new to the functionality of AdWords, it can become confusing and time-consuming to set up, and most importantly, set up correctly. Having a digital marketing agency to handle a PPC campaign full-time is preferred by many dealerships. A reliable agency will know what bids to use and what ad copy and keywords work best for your brand and location. Finding a PPC partner will take the guesswork out of managing a PPC account and free you up to focus on your customers. If you have been thinking about implementing a Pay-Per-Click campaign in your dealership’s digital marketing strategy, Dealer Authority can help. Our hands-on PPC team will assess your market, find the target keywords that are going to give you the best results and send more qualified leads to your dealership for increased sales. 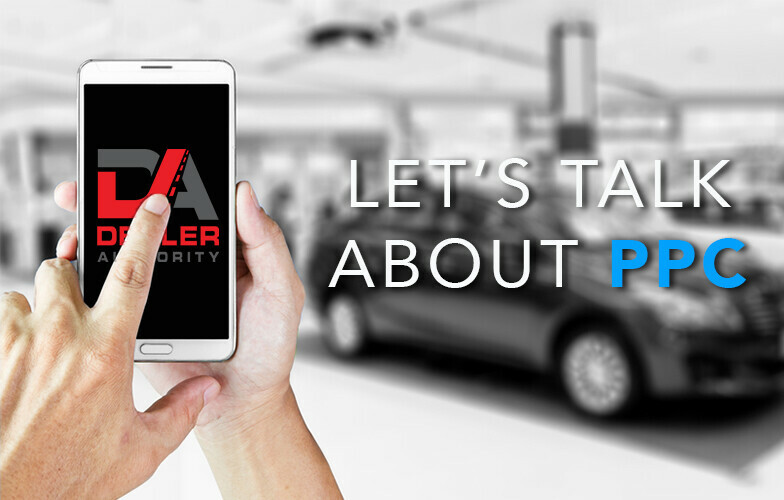 Ready to find out the possibilities that are available to your dealership with PPC? Reach out to us today.